Diets are a big topic today. The Atkins Diet, sugar busters, protein powers – I could go on and on. What we have learned is, what goes in us affects us. Change your diet, change your life. There’s a second type of diet, your mental diet. And what we think about affects us. Change what you think about, change your life. I’ve been on a mental diet this last week. One that has been more challenging than any physical diet I’ve ever been on. The challenge has been not to allow a negative mental thought to come into my mind, or at least not let one stay in my mind. Negative thoughts can just pop in your head. I’ve never had food just pop in my mouth on a regular diet. People can try to make you go negative. I’ve never had someone try to force feed me food in the past. Changing to only positive thoughts and not letting negative thoughts into your head is a real challenge. Emment Fox, in his great work The Seven Day Mental Diet, used the metaphor of an ember from a fire landing on your sleeve. If, instantly, you blow the ember off, there is no damage. If you let the ember sit there, it will ruin the sleeve. I’ve always liked what Martin Luther said. We’re not responsible for the bird that flies over our head, but we are responsible if we let it build a nest in our hair. That has been one of the challenges; that, when a thought does pop into your mind, to quickly displace it with a positive thought. This week has been a challenge and I’ve had many resets, but I’m learning to take captive every thought. And by keeping the birds from building nests in my hair, I know that, over time, I will change what I think. And when you change your mental diet, you will change your life. Who could have thought sitting for 15 minutes could be worth so much? One of the daily exercises in MKMMA is to sit for 15 minutes. That is right just to sit. Now what good can it be to just sit? That was the thought that I had at first, but over time I started seeing changes in my life just spending time each day sitting. Now don’t get me wrong this is not as easy as it sounds. We live in a time when there are more and more distractions. The noise is everywhere, and finding a place and time to be still and be quite is much harder than you think. As I started, I would find my body not wanting to be still. I don’t think I had fidgeted since I was a kid but I sure was now. However, over time I learned quite my body. I thought that was the hard part till I saw how it was to quite my mind. You would be amazed at how many thoughts could pop into your mind and how hard it is to keep your thoughts under control for just a few minutes. But over time, I could go longer and longer keeping my thoughts under control. I was learning the power of focus and it has great power. As I have done this the first thing I have seen is my focus being increasing in everything I was doing. It made me think of a time when I was a child and I had a small plastic magnifying glass. I used it to burn holes in leaves which demonstrated the power of focus. If I moved the magnifying glass it had no effect but it I held it still it burned the leaf quickly. That is what this sitting time was a time was doing for me, it was creating focus. I now see the benefits in my life, I am less distracted, I have better follow through and I’m getting more and more done each day. So maybe it’s time for you to take a sit. I was very excited when I got the call from Simon Chan asking me if I would be willing to be interviewed for his podcast MLM Network. 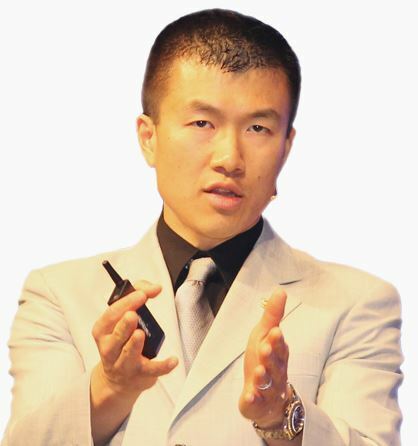 Simon Chan is a multimillion dollar earner in network marketing and has one of the largest podcasts for network marketers. Below is a transcript of the interview I did with Simon. It was an amazing time and I felt truly honored. This Simon Chan, today we’re interviewing Steve Lacy who is a multiple six‑figure earner in his network marketing company. He lives in Huntsville Alabama with his wife; he has developed over 20,000 people in his down line and is financially independent through what he is doing. Hi Steve, welcome to the podcast. Are you ready to bring it? Steve: I’m ready to go, Simon. Thank you for the opportunity to share. Simon Chan: Steve let me ask you what is your motivation for doing what you’re doing? Steve: Well Simon, I think financial freedom and time freedom is an awesome thing to have. The fact that I can do what I want to do when I want to do it is really amazing. The fact that I could build a business where I work for a short period of time and is paying me the rest of life, that’s awesome; but honestly, one of my motivations is I can help others. I’ve owned a business before, I owned a Merry Maids franchise and I couldn’t help somebody come up with $100,000.00 to invest in a Merry Maids franchise, nor would I want to, knowing what it took, but I can help someone spend just a little bit of money, develop a system, and become financially independent and that really motivates me to help others. Simon: Steve can you tell me about your habits? What’s helped you become successful? Steve: Well Simon I have to be honest. The first 4 years I really struggled. I only signed up 14 people and I got in what’s called management mode. I wanted to manage people and make them successful and I realized that I couldn’t do that; that I needed to be in the trenches prospecting. So every day I prospect. Matter of fact, I even do it now as an example. Simon: What was your biggest aha moment? Steve: Well Simon, I guess it came when I joined what was called the Master Keys Mastermind Alliance and it just helped me realized how my thinking was all messed up. I really had a failure mindset. I would have never said that but I did. I constantly would visualize negative things and be looking at negative outcomes and I really learned that your mind creates a future in a sense you act accordingly. So if you’re expecting someone to say no, they’re almost always going to say no. If you’re expecting you sign up to do nothing, they’re going to do nothing. And I found by changing the way I thought, I could change the way I act and believe it or not, it changed the way others acted and I realized that success was always within my grasp, I was just walking by it. Simon: What are your favorite prospecting tools? Steve: Well Simon, I really kind of created a new system. Our system was based on one person just absolutely being sold out and spending a ton of time and it was like a full-time job and then some. It paid you well, but it was exhausting. So what I did is create a kind of a sorting system. I remember reading Perry Marshall’s book on sales and marketing from an 80‑20 method and so what I did is set up a really simple little 60‑second message on a phone call. And I could give out a tool, a magazine; I could give someone a card that would say do you own your life? And they would make a call. And during that 60 seconds, it would kind of sort, were they interested in owning their life or not? If they had interest, then they left their name and number. If they didn’t have interest, they didn’t. And then what I did is I would make a phone call to that person. I would sell myself to them; let them know who I was and you know, people buy from people they know, like and trust. So I wanted to build a little bit of trust and if again I like them, and things seemed positive, I would send them to a website. The website would give them a short video that explained kind of the system we were using and what we’re doing and it was up to them. They left again, an email address, phone number and there was another follow up where I would do the full presentation. It allowed me to go through a whole bunch of people and spend my time only meeting with those who were available. So just my best prospects, who was just a phone number, where people get basic information. Simon: Self development. I know leaders grow, so how have you developed? What would be a favorite book of yours? Steve: Well, I think for me the best book I read is “Success Principles” by Jack Canfield. Every time I read that book I get something new from it but I think Jack does a great job of talking about the mental aspects but also what you have to do to succeed so I think that was probably the best book. Simon: What makes you most excited about the network marketing industry? Steve: Well Simon, I think what really makes me excited is that this is an industry that’s becoming more and more accepted. It’s one in which you can get information to people faster. I think some people have messed up by trying to make this an online business where you’re doing everything by links and you’ve got to connect to people. You have to pick up the phone call. People need to not just see a video. They need to talk to you, then see a video. There needs to be a human side of it but I think there are less people negative than has ever been negative before. Simon: Alright Steve, I’m now going to ask you my million dollar question. If you started over again, and knew no one, what would be the first thing you would do to grow your MLM business from scratch? Steve: I would go for a niche. I think again if I knew no one, I would look for a niche. For me, I’m a pastor, so I would look for pastors because pastors already know me; I know them. They are like me because we have similar likes, and they would trust me. So I would call pastors and I would work in that niche to help pastors and when they signed up, I would work as normal within their warm markets and help present to people but I would go talking to pastor s and if I signed up someone who is a real estate agent, I’d have them talk to real estate agents; a teacher to teachers. I think everybody has a niche of people they already know, like and trust because they have similarity. So I would do that. I have used the words “I’ll try,” so many times but I never understood the negative powers behind those words. I thought when someone ask me to do something and I said, “I’ll try” that was a good answer. After all it sure was better than saying no, right? What I didn’t understand was when I said, “I’ll try,” I was giving myself a free pass to fail. After all there is no commitment in trying so if I didn’t get it done there was nothing wrong with that. I had not failed since I never said I would do it. But to try is to fail, because there is no commitment and without a commitment I will never get it done. This week I learned how important it was not to try but to do and how vital it is that I never start something or commit to do something if I am not absolutely committed to getting it done. See here is the key that I was missing, when I was saying “I’ll try”, I was making no commitment to the task, and therefore giving myself permission to fail. I was “forming the habit of failure” I didn’t even know it. I have learned this week that I should be very careful what I commit to do and once I commit I MUST DO IT. So no more “I’ll try,” my “yes” will be “yes” and my “no” will be “no.” I always keep my promises and I don’t make flippant promises or weak commitments. In the past I had taught myself to accept failure but no more, I will only accept success, and I not try, I will do. If you would have asked me a few weeks ago what a habit was, I would have said something you do without thinking. I now see that was good definition but I didn’t realize that I was the one who was in control of all of my habits. I was their slave because I had allow them to master me. Now lets break that down. Good or bad, habits are easier to do than not to do, so bad habits open doors to failure and good habits to success. For example, I had a habit of allowing my car to become messy with stuff. My back seats became so packed with stuff no one could even sit there. My floor board became my trash can and I just let my trash pile up there, it was a mess. It had become a bad habit, but it happen because I let it become a habit. I would toss books, papers and magazines that I knew I would need in the back set of my car every day, I would just drop hamburger wrappers or receipts in my floor board and because I did it daily (constant repetition) it became a “pleasure to perform.” Pleasure may seem like a strong term, but let me just say it became the easy thing to do and we always enjoy doing the easy thing, so it is a pleasure. The result, my car was a mess. My wife was always commenting on it and I was embarrassed with someone saw it. I did clean it out from time to time but it never stayed that way because I had formed a habit and I was it’s slave. But this week it all changed, I cleaned my car out as I had before, but I didn’t stop there. I now have started a new habit of keeping it clean. I bought a briefcase to keep the books and papers I needed organized and in one place not just tossed in a set. I no longer put my trash in my floorboard, instead I throw it away at my first stop. When I arrive home for the evening, I will not allow anything to stay in my car that is not in the briefcase. I throw away trash, and I either place thing in the briefcase or bring into the house, I make sure it is clean before I go into the house. Now this is a new habit, and so at this point I’m still developing the habit through constant repetition but I am developing the habit and I know that soon it will become a pleasure to preform and then it will become my nature to preform it and I will become a slave to this new and good habit. Now will a cleaning car change my life? No, but learning to replace a bad habit with a good habit will. This is only the first habit of many I will change, and over time these changes will change my life. As Og says, “Good habits are the key to all success,” and I now know how to change ANY bad habit into a good habit and this is why my life will never be the same. I am a new man with a new life.